The holidays are here and with the winter season comes cold weather germs. Busy moms know, it's not possible to take a sick day from parenthood. That's why I'm sharing a quick and easy Get Well Soon Gift-in-a-Mug that will win over winter for any sniffling mama. This sweet gift is super easy to put together. Simply stuff a little tissue paper into the bottom of your mug to keep your items visible and sticking out of the top of the mug a little. Now arrange your items however you like! I like to keep the taller products in the back and the necessities, like Motrin®, in the front. Being a mom comes with a lot of minor aches and pains even when you're not sick. I made sure to include Motrin® in my gift basket because of its fast acting relief for headaches and cold symptoms. It also reduces fever and sore throat pains! Tissues, lip balm, and hand sanitizer are all staples for recovering from any winter illness, but hot cocoa in a pretty new mug will lift mom's spirits, too. 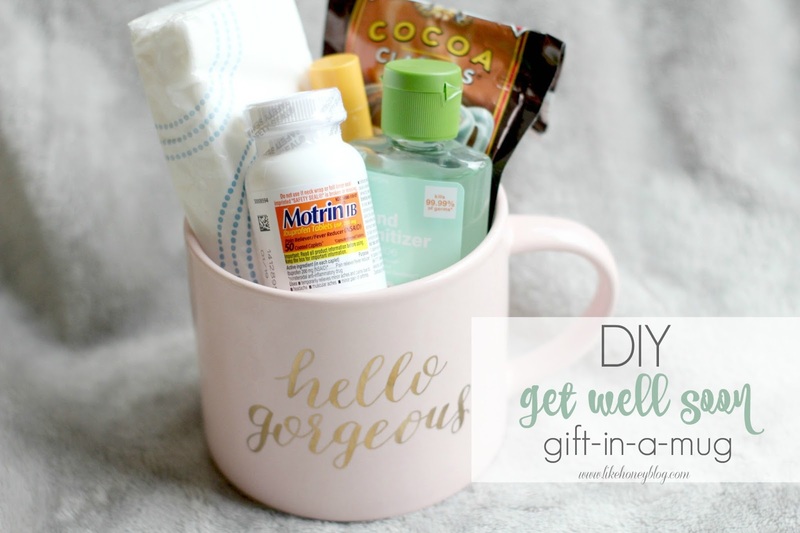 Want to make a Get Well Gift of your own? It's so simple! Just grab all the items above at your local Target while you're shopping for your usual groceries and head to the Pain & Allergy Relief aisle to pick up a bottle of Motrin®! I love making one-stop-shops, don't you? Are you in the spirit of giving yet? How do you beat the cold weather blues with a busy lifestyle? I love this and the mug is beautiful! What a great idea!! Love this and that cute mug! Thanks, Courtney! Target always has the cutest mugs! Thankfully this one didn't require any skill! Such a cute idea! Especially with that terrible cold going around right now! It's the perfect time of year for this gift! This is such a cute idea!!! I'm going to have to recreate this. Yes! Share it when you're done, I would love to see what you come up with!